Who cleans your castle? Here are just a few of our customer testimonials heard on local radio in the Greensboro, NC area! 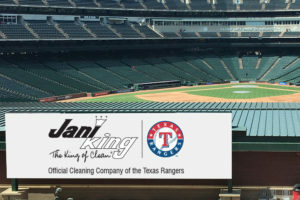 Our Jani-King franchise owners are making a big impression on our customer base; continually earning big praise and accolades. We appreciate all of our customers and look forward to continuing our long-standing partnership with each and every one of you.